Eczema is horrible. It's red, itchy, scaly, painful and ugly. If left untreated it can leave horrible scars. And it is almost as common as the common cold. And like the cold, there really isn't any one successful treatment for this painful skin complaint. Hannah and AJ both suffer from eczema and have done since they were babies (another reason I MOO washing powder and soap). Over the years we've spent a fortune on creams and lotions, doctors and specialists, natural remedies and some not so natural. And while some of them worked for a short while the eczema always came back and the painful cycle would begin all over again. Until Hannah found a recipe for a homemade cream and gave it a try. And it worked! Oh joy, oh happy relief! It soothes and stops the itching, cools the skin quickly and moisturises and softens dry scaly patches. Best of all we had all the ingredients in the kitchen. Over the years we've tweaked it to the recipe below. It is far and away the best eczema cream we have used and its all natural - not a steroid in sight, no need for a prescription and it costs under $1 a jar. 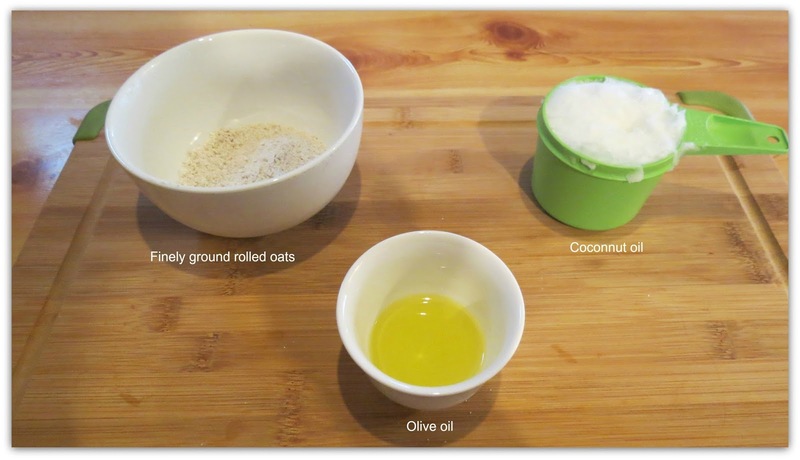 It only has four ingredients: rolled oats, coconut oil, rosemary oil* and olive oil. Oats have been used to soften and moisturise skin for centuries. They are know for their anti-itching properties and are an easy treatment for dry skin. Coconut oil is rich in fats, Vitamin E, proteins and fatty acids. It is renowned for it's moisturising and anti-aging properties. Because coconut oil doesn't go rancid it can be applied to the skin it can work longer without going rancid. Rosemary oil is know for it's therapeutic properties and is a common ingredient in shampoos and moisturisers for it's purifying properties. 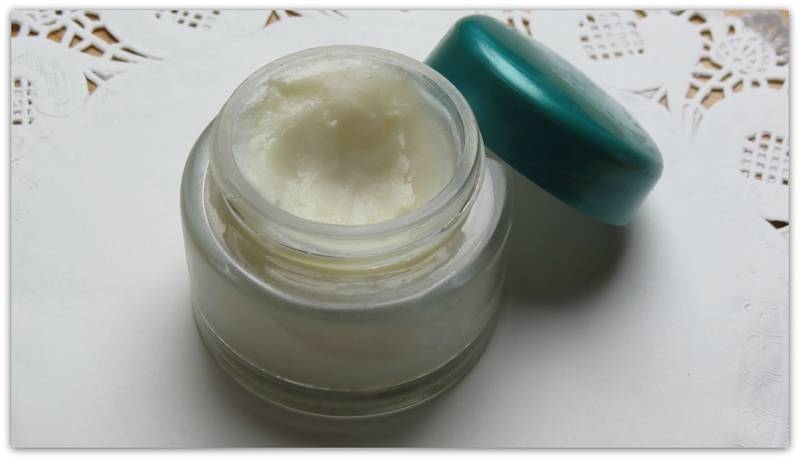 This recipe can be used as a daily skin moisturizer to prevent eczema from flaring up. If by chance it does still appear this helps to nip it in the bud quickly! Step 1. 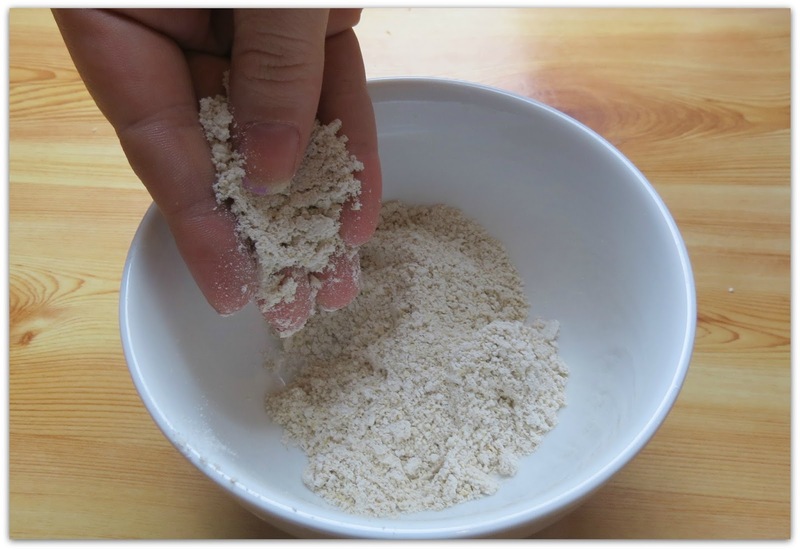 Finely grind the oats to a powder/flour consistency and set aside. I use my food processor but you can use a stick blender, vitamiser, mortar and pestle (if you have the muscles), a Magic Bullet - any appliance that will grind the oats into a fine powder. Step 2. Over a low heat, melt the coconut oil in a small saucepan until it melts. Step 3. Add in a few drops of rosemary oil if you are using it. I usually add 8 drops as we like the fragrance and I like the antibacterial properties of rosemary oil. Step 4. Add finely ground oats to the saucepan and mix until well blended. At this stage the mixture will be quite thin. Step 5. Now, pour the olive oil into the mixture and stir until blended. Step 6. Once all ingredients are thoroughly combined remove from the heat and let it cool, absorbing all the goodness from the oats. While it is still semi-liquid pour in to a small, sterilised storage container. It won't matter if you get any of the oats in the jar, your cream will just have a little texture. If you don't want any oats, strain the liquid into the jar. Let it cool and harden for several hours. Apply to hands and skin as needed and feel the moisturising magic at work! I think I'm going to have to buy some coconut oil. This recipe looks great.